Round lab grown diamonds in prong setting are neatly arranged on J hoops. They hug your ears elegantly and look beautiful. 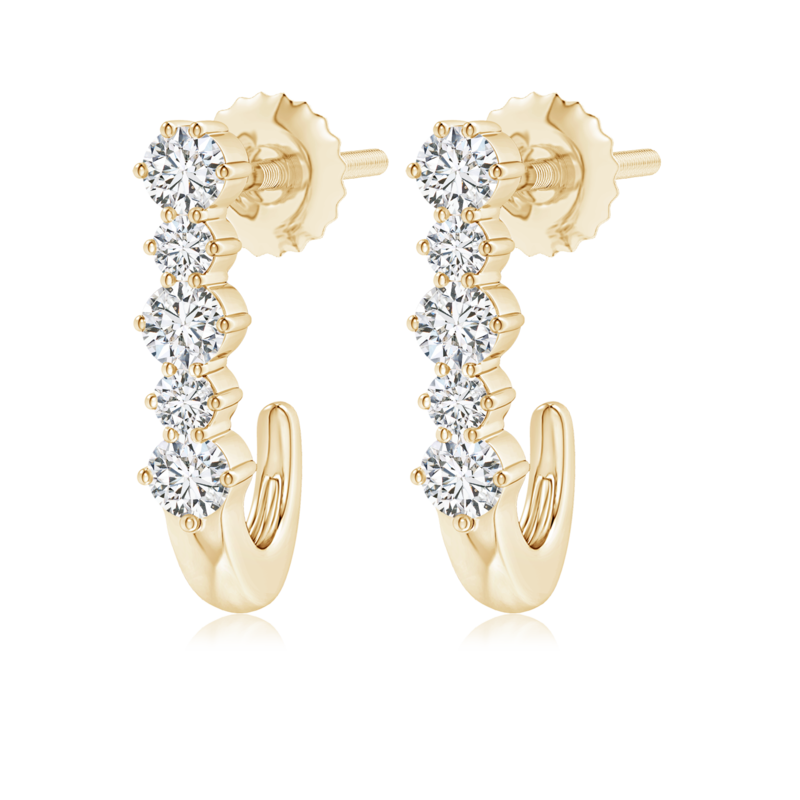 These hoop earrings for women dazzle brilliantly and are crafted in 14k gold.